Every year, we feature a keynote presentation by a senior and respected storyteller. These keynote kōrero are designed to reveal the history and power of stories: whether they be told in film or with any of the other platforms now available to us. The historic Rangiātea Church is a stunning venue for the entertaining and meaningful words offered by our keynote presenters. Previous speakers include Julian Dennison and his mother, Mabelle Dennison (2017), Larry Parr (2016), Lawrence Makoare (2015) and Tainui Stephens (2014). 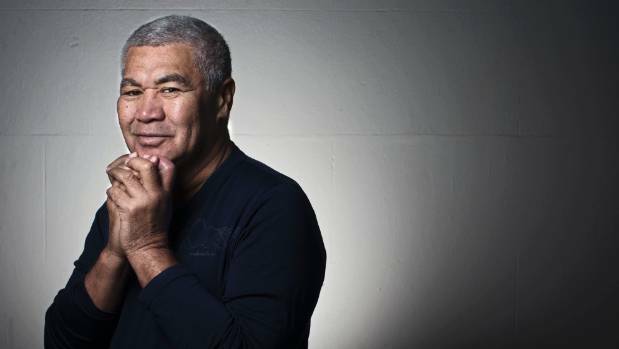 RĀWIRI PARATENE is a pioneering actor, writer and director who has won many awards and plaudits for work on stage and screen for over 40 years. In the early 1970’s he was a member of Ngā Tamatoa, an activist group that helped put the Māori language back on the agenda of a modern New Zealand. Since then he has played a huge array of starring and supporting roles. On television, he is remembered for presenting and acting in the early years of television with PLAY SCHOOL and JOE AND KORO. In the film, he was widely acclaimed for his work on WHAT BECOMES OF THE BROKEN HEARTED (1999), WHALERIDER (2002) and INSATIABLE MOON (2010). In theatre Rāwiri’s most recent successes include a variety of productions for London’s Globe Theatre. One of his most ambitious projects was to play a core cast member for the Globe’s two-year tour of HAMLET where they performed in 205 countries. For all his life, Rāwiri Paratene has been a creative storyteller and performer. He has touched the world with his finely tuned portrayals and has always remained proud of his ultimate identity as a child of Te Tai Tokerau.